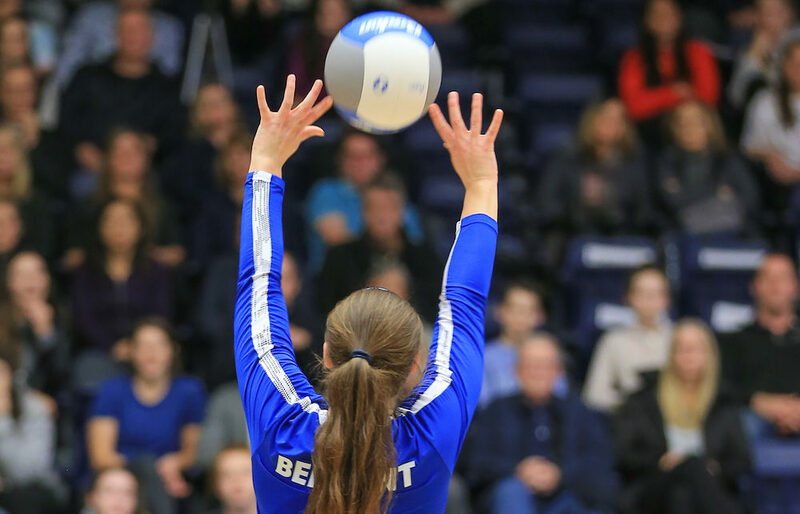 PORT COQUITLAM — B.C.’s two-time defending AAAA champion Belmont Bulldogs pushed their record to 46-3 Saturday with win over Surrey’s Pacific Academy Breakers in the final of the Red Serge Invitational. As part of a 7-0 weekend in PoCo, it kept the ‘Dawgs firmly rooted at the top of its tier’s Top 10 rankings. Sure enough, the Breakers’ showing made them the biggest movers across all four tiers in the eyes of the B.C. Girls High School Volleyball commission, jumping from No 7 to No. 2 in the AA rankings. The biggest climbers of all, however, were AAAA’s Lord Tweedsmuir Panthers, who went from unranked to No. 3 after getting all the way to the Red Serge Final Four where they fell to Belmont 2-0 (25-19, 25-18). Host Riverside, which went from unranked to No. 4 in AAAA, lost 2-1 (25-17, 18-25, 15-4) to Pacific Academy in the semifinals. Tweedsmuir later beat Riverside 2-0 (25-18, 25-18) in the third-fourth final. Gracie May and Jocelyn Sherman of Belmont were part of the tournament all-star team, which also included Lauren Attia and Davida Hill of Pacific Academy, Ellie Sinclair of Lord Tweedsmuir and Sophie Wong of Riverside. Taylee Pomponio of Belmont was selected MVP. *College Heights beat Duchess Park in an all-Prince George final at the College Heights Cougars Invitational. *In an all-Vernon final at the host Panthers Invitational, Vernon Secondary beat Kalamalka in the tourney championship match. *Mt. Baker bear Fernie in the Kimberley final.